Bring this show to your campus! EMAIL now for more information about booking rates and dates. We have performed in dozens of colleges and universities as part of our nationwide touring. The Improv Comedy show equally works well on a large MAIN STAGE performance venue, small theater, late-nite club, lounge, snack bar or student activities meeting room. The entire show in improvised based on audience suggestions. Every three to five minutes the MC will go directly to the audience to field ideas for hte next sketch or song. Many audience volunteers are welcomed on stage to more directly steer the comedy by making funny sound effects, providing words and phrases for the comics to play, or becoming live instagram slides (pictured above). We always finding new ways to incorporate the crowd on stage. The show features many musical numbers. Based on a single word the cast sometimes improvises and entire mini musical. Other styles include Blues, Jig/Drink Song, Madrigal and even Hip Hop (Sort of). While focusing on topical comedy, the show remains non-offensive to all. Back in June 2003, the cast’s very first booked gig (other than appearing a few NYC clubs) was a pride week party in NYC. In addition to staging one of the most diverse casts in comedy, the show has played 1000s of clean (usually equivalent to PG-13 Movies) comedy shows on campus, in clubs and at corporate events. Even when the cast tackles political scandals the lampooning is light on judgement. The cast has filled every type venue from Broadway sized theaters to comedy clubs to snack bars and other campus activities to large common areas in frat houses. This show has even played small salon performances for less than 20 people at private house parties. For larger stages, the show requires the hosting theater provide wireless head mount or lapel microphones. For smaller rooms, 2-3 hand held microphones is more than enough. Otherwise this show has the simplest tech rider. Improv Comedy is 100% artist created. There is no royalty, minimal tech needs and easy to set-up. There fore the rates are far below comparable off-Broadway shows. You can book the entire cast ready for a 60-90 minute self-contained show for around the cost of a single stand-up comic. EMAIL now for more information about booking rates and dates! Laurice Fattal is the heart and soul behind Corporate Comedy of America. She started us on this path in 2002 when she joined the cast of Bob Monaco’s Comedy Show. While that troupe did not survive the year, the idea was formed or EIGHT IS NEVER ENOUGH Comedy. In the past 20+ years Laurice has appeared on many New York stages and TV shows but has always found Improv her artistic home. In recent years Laurice has developed a following in New Media with growing success vlogging about pop culture and more. But Laurice drives this project from behind the scenes developing marketing and other strategies. 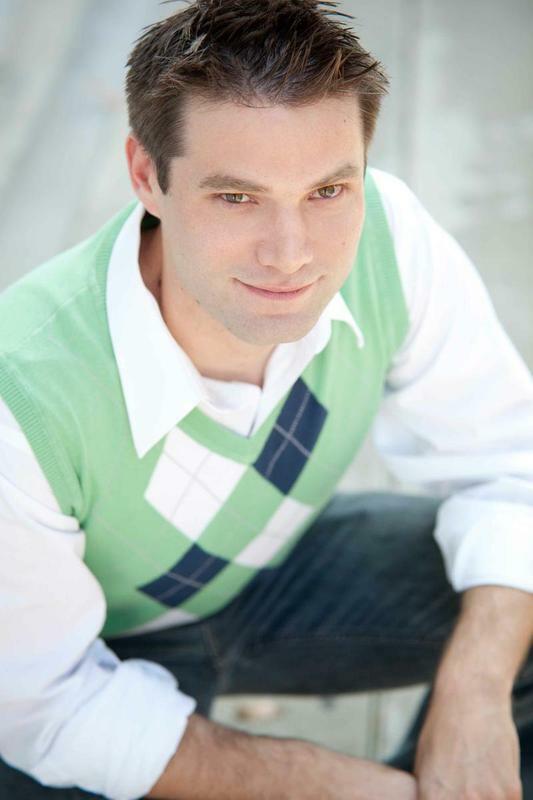 Evan Schultz has been performing with the Eight Is Never Enough Improv troupe since 2009! This New York native is a graduate of Wagner College with a BA in Theatre Performance as well as Voice and Speech. Off Broadway: LMAO, Isabelle and the Pretty-Ugly Spell, The Gayest Christmas Pageant Ever. Off-Off Broadway: Lost Boys or an Awfully Big Adventure, JAR’D, Isabelle and the Pretty-Ugly Spell, Hollywood-Hollywood!, Booth! The Musical, Dickens Condensed. Regional Theatre: Jekyll and Hyde. A Wonderful Like, Grand Hotel, Into The Woods, Sleeping Beauty, Charlie and the Chocolate Factory. Touring Theatre: Improv4Kids, Charlotte’s Web, 1776, A Christmas Carol. TV/Film: 30 Rock, Law and Order, Gossip Girls, Fringe, Cupid, When in Rome. Thank you to The Entertainment Group, friends and family for the love and support. Liz Lord has been a cast member of Eight is Never Enough presents Improv for Kids and LMAO since April of 2012. After receiving her theater degree from Earlham College, Liz came to the city to act, direct, and teach. Favorite roles include Ophelia in Hamlet, Liz in Chicago, and She in The Loveliest Afternoon of the Year. She loves performing in new work as well, and has been on stage for many of New York Cities various theater festivals. Liz has directed adults and children, and is the co-artistic director of the newly formed Three Bridges Theater. Teaching has always been one of Liz’s favorite endeavors. She has worked with Americorps to bring arts education to low income families, taught literacy through acting with the Central Park Historical Society, and acted as an assistant director for the Sports and Arts in Schools Foundation. Her favorite teaching position, however, has been teaching stand-up and Improv to kids with SGF Productions. Nathan Armstrong has been seen in many productions, including recent tours of Phantom, Brigadoon, and Richard Sherman and Milt Larson’s new musical Pazzazz! Other regional credits include Buddy, the Buddy Holly Story, Guys and Dolls, Anything Goes, Big River, and Joseph… He is also on the soundtrack for the feature film Rock Slyde and has performed in venues worldwide, from the Hilton Hawaiian Village to festivals in the Czech Republic and Hungary. In addition to producing, Nathan has vast experience in corporate management and sales.